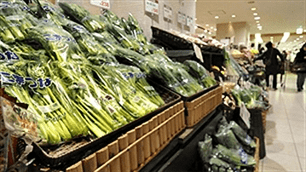 Vietnam’s Dong Nai Food Industrial Corporation and Japan’s Marubeni Corporation on July 21 signed a strategic cooperation agreement on food and foodstuff production. The aim is to serve strategic agriculture projects by supplying agricultural produce for the cattle-feed processing industry, as well as minimizing losses after harvest and increasing the use of domestic materials to reduce imports. The two sides will cooperate in building infrastructure and invest in the Dong Nai-Agropark industry and agriculture complex which will use modern technology to raise the quality of manufacturing, processing and distribution. A chain of safe food stores will be established to meet the growing demand of customers. A multi-national corporation headquartered in Japan, Marubeni has 119 branches operating in 69 countries around the world. « Can Columbines Thrive in a Partial Shade Garden?